I am excited to announce my new business podcast, The Profit Ability Show, aka “The business podcast that brings you less jargon, and MORE margin!” consisting of inspiring conversations with successful business leaders, artists and entrepreneurs that will get your blood pumping and your creative juices flowing. Each episode, I’ll focus on the latest – and the greatest – tools, techniques, strategies and advice you can apply right now to achieve more success and improve your bottom line. 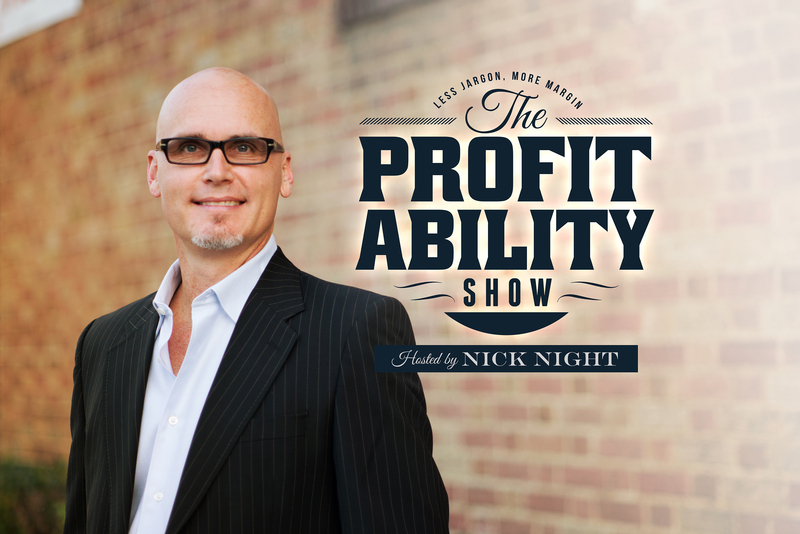 If you want to be considered as a guest, or know someone you feel is perfect for the show, feel free to reach out to me at nick@profitabilityshow.com.